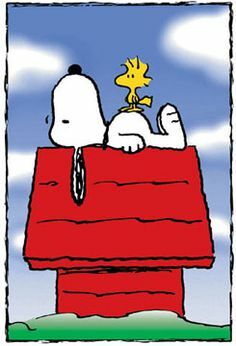 Everyone remembers Snoopy’s iconic red kennel which had the strange ability to fly, and while our own dog’s kennels probably won’t be taking to the skies any time soon, picking something cozy can help our furry friends get their forty winks and keep them warm through the nights! 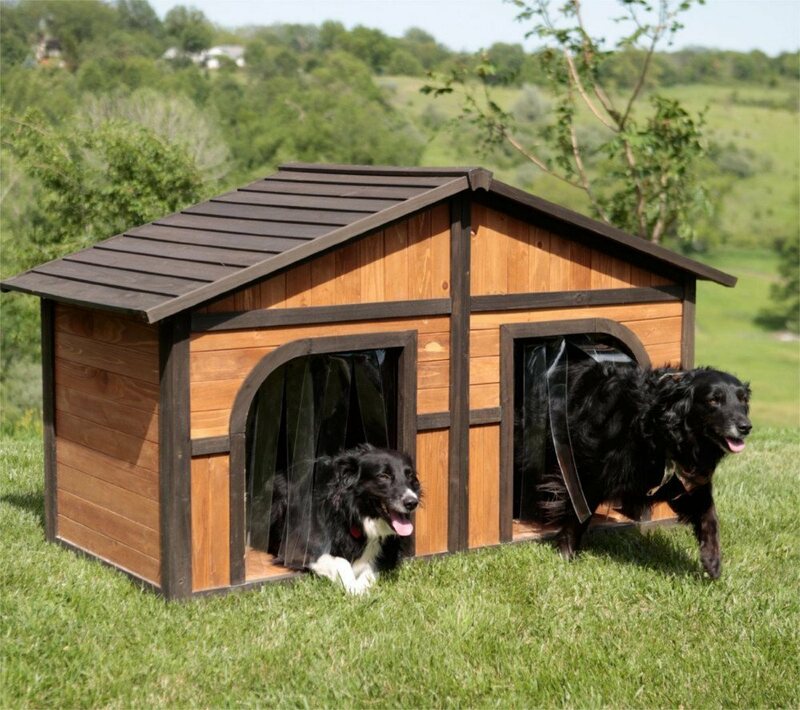 Before revealing our top 5 recommendations we will cover some of the the things you should consider when choosing a dog house. Or skip straight to our top 5 recommended kennels! What To Look For In A Kennel? 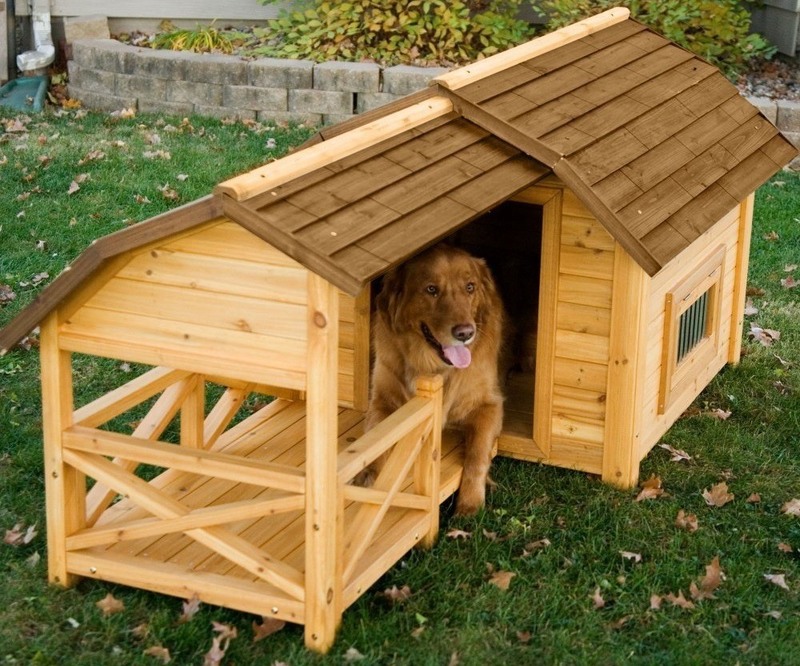 Almost all kennels are made out of either wood or plastic. If portability is a must then plastic could be the better choice for you, but for greater protection and insulation wood is your best bet. Wood also tends to be sturdier but this is not always the case as some plastic models can also be very solid. In any case (but more importantly if you choose plastic) it’s a good idea to pick up a specialized heater to keep your pet nice and warm in the colder months. Beyond the material of the main body, the material used for the roof is another important factor. Asphalt roofs are often attractive, last a long time and don’t require much work in the way of maintenance while wood shingle roofs tend to provide slightly better insulation. 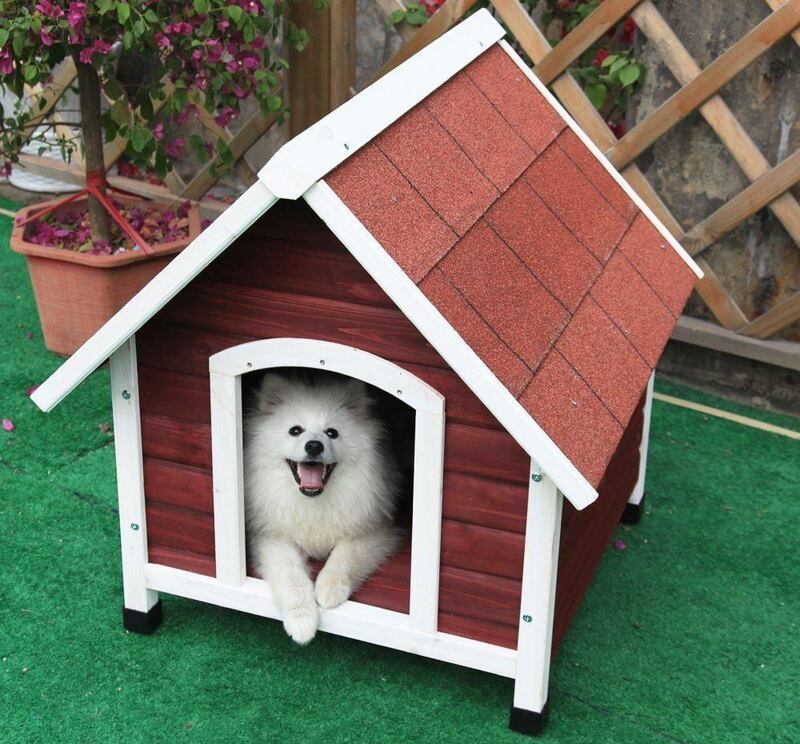 That said, most dog houses with asphalt roofs offer extra interior insulation to compensate. It’s never a good idea to get a chihuahua sized house for a labrador! Always read the dimensions of a kennel before ordering. Fortunately most products have options for different sizes so this shouldn’t be a problem. It can be a good idea to use long-stem grass hay (not regular straw) for bedding instead of the typical blankets and sheets. This is because cotton is more prone to dampness which can in turn lead to our dogs feeling the cold, particularly in the winter. Now, without further ado, we present to you our top 5 list! Not a big fan of DIY? Don’t fret! This kennel is impressively sturdy for the pricepoint. No more leaky roofs leaving your poor pooch drenched by sunset, this product is as watertight as it gets which could make it a great option for those living in areas with high amounts of rainfall. 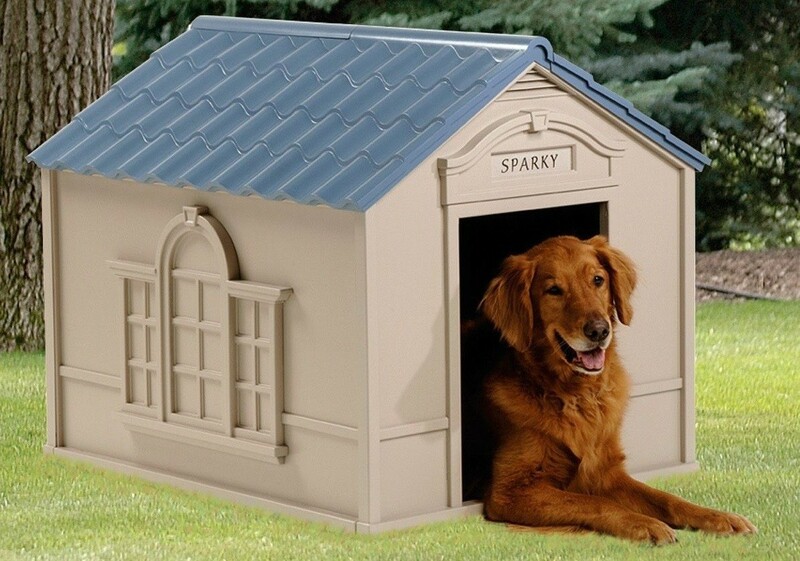 Comes in turquoise or classic kennel-red and many different sizes to suit your dog! Favorite Feature: The roof can be lifted up as it’s fitted on a hinge. This allows for easy access to the interior so you can clean it and change the bedding without any hassle! The Suncast DH350 is a thick and durable kennel which is sure to stand the test of time, even if you have a particularly destructive pet! It’s also great value for money if you’re on a tight budget. We tend to prefer wood to plastic designs as plastic does not tend to offer as much protection from the weather, but on the other hand plastic houses are easier to move around and assemble. Favorite Feature: While we do love how rigid this design is for a plastic build we have to mention the low price. At less than 100 bucks your wallet will thank you. The Duplex by Boomer & George is an extremely high end product. At a glance it’s absolutely beautiful, but the main appeal is that it can accomodate two large dogs. For owners with more than one dog we are positive that this is the best choice out there! Of course with top end products you’re often looking at a top end price tag. We were pleasantly surprised at the price because while it isn’t cheap (which is why we only placed it at #3), for the quality you are getting, the protection it provides for your pets and the ability to fit two larger sized dogs we think it’s fantastic value and we highly recommend it to anyone. Favorite Feature: Apart from the obvious ability to fit two dogs there are two things we really appreciate about the Duplex. Firstly the wooden roof provides added insulation which helps during those colder months, and secondly we love the door coverings which again adds some extra warmth and helps to protect our dogs from rain and other harsh weather conditions. Is your dog a little bit country? The Boomer & George Dog Barn is a stunning kennel designed to look (as the name implies) like a barn! It is constructed from fir wood for better insulation and features a side window for ventilation making it ideal for both hot and cold weather. The porch is also covered to allow your canine companion to sit outside protected against intense sunlight and rain. The roof and flooring can be quickly removed to allow for easy cleaning. All in all this is a quirky, fun kennel with awesome features and we love it! Favorite Feature: The things which really stick out to us about the dog barn are the design features. We love the covered patio and when the side window is open dogs are able to peer their head out and have a good look around. It is also visually impressive and acts as a great conversation piece when the neighbors come over! We have to say we were really blown away by the quality of this house, and judging by the 5 star rating on Amazon it seems everybody else was too! This Petsfit model is a spacious, sturdy design suitable for larger dogs which can be fitted together in no more than 30 minutes. The insulation is outstanding and is sure to keep your best friend warm and protected against the elements! Oh and did we mention that it’s quite cheap? Especially seeing as it’s currently on sale at almost 50% off! We’re positive that you won’t find this level of quality anywhere else which is why it’s a no-brainer for our ‘Best In Show’ award! 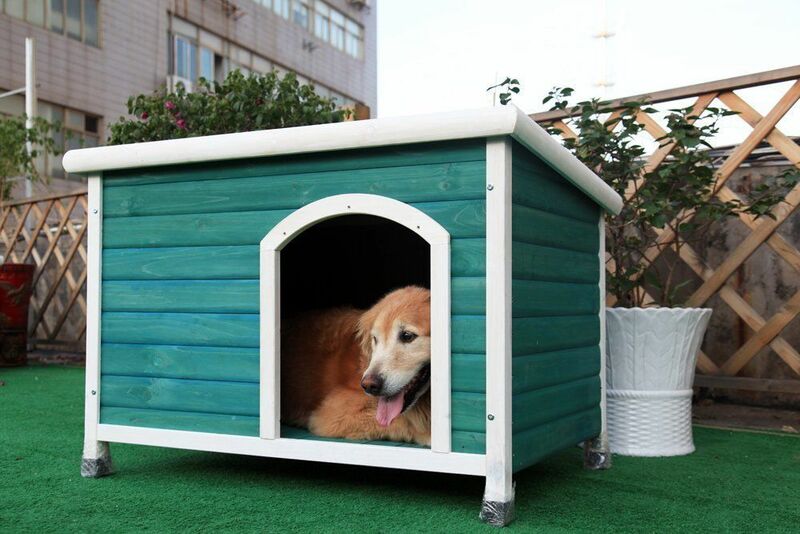 Favorite Feature: We love the extremely high quality of build and attention to detail that the makers put into this dog house!